I have officially bought my first batch of Halloween candy! But… I confess right now, it will not make it to Halloween. 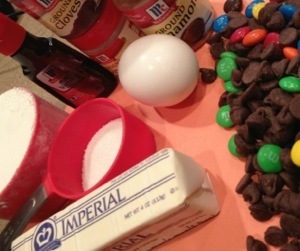 In fact, I became so excited about fall, I couldn’t resist taking the fresh bag of M&M’s and using them to make this fabulous after school treat for my little’s. 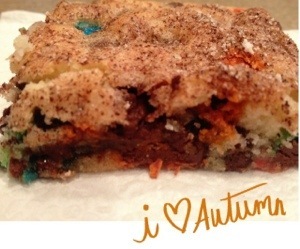 The original recipe is from one of my favorite bloggers Baking Bites (If you don’t have this site in your favorites you MUST add now:) Happy Fall Y’all … Worry less, Smile more! Preheat oven to 350. Line an 8×8-inch baking pan with aluminum foil. In a large bowl, cream together butter and sugar until light and fluffy. Beat in salt, egg and vanilla extract until well combined. Add in flour and stir until no streaks of dry ingredients remain. Fold in M&Ms. Remember, you are never to old to lick the bowl. 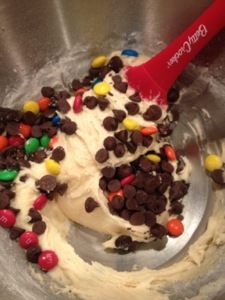 Spoon dough – it will be thick – into prepared baking dish and smooth it with a spatula into an even layer. In a small bowl, stir together remaining 1 1/2 tbsp. 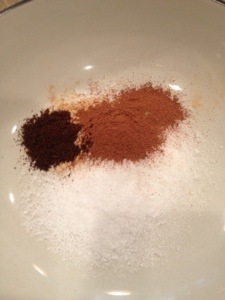 sugar with the ground cinnamon, ground ginger and ground cloves. 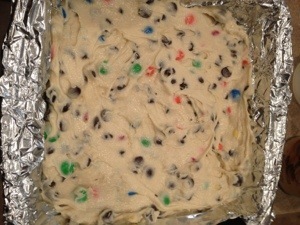 Sprinkle dough evenly with sugar and spice mixture. Bake for about 30-34 minutes, until bars are set and the edges are just very lightly browned. Cool in the pan before slicing.